Increasing your job board traffic can make a huge difference to your site. Optimizing your communication strategy with both jobseekers and employers without risking your money on advertising can be a great way to build your job board. You can’t do any of that without powerful email marketing for your job board. Here are 15 email marketing tips to skyrocket your job board traffic and conversions, focusing on inbox presence first. Capturing the attention of the user in their cluttered inbox is the foundation for your email marketing success. Use these tips to improve your presence in the users inbox. 1. Schedule your campaigns at 4 pm. Nearly double the open rate compared to 2 am! 2. Thursday is the best day to send your emails. 3. Keep subject lines to 10-19 characters. 4. Personalize subject lines. 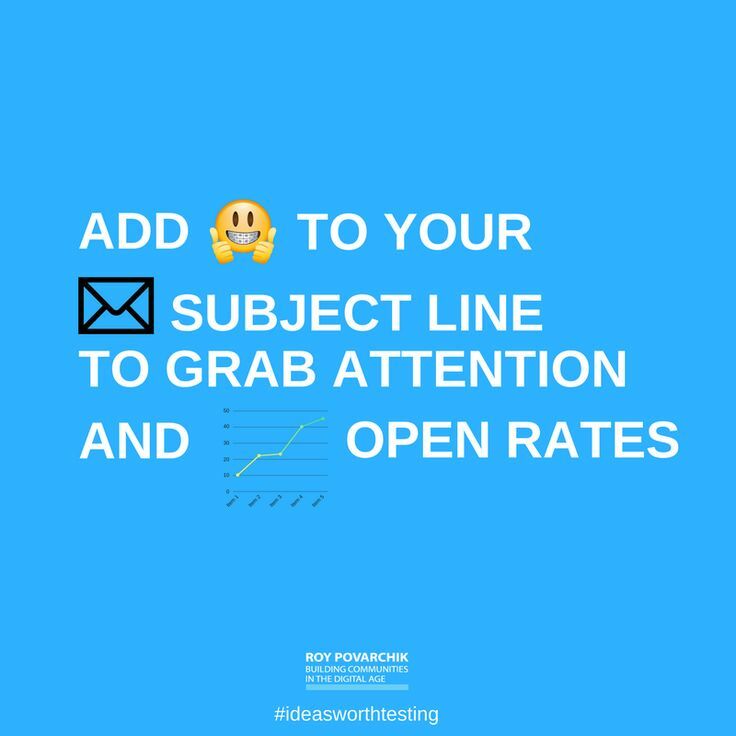 Adding someone’s name in the subject line boosts open rates by 5%. 5. 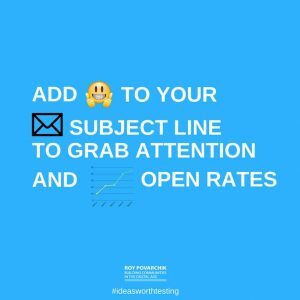 Adding emojis in the subject line boosts opens rates by 2%. 6. Include your brand name in the ‘From’ address. This is helpful on a branding perspective and builds subscriber trust. 7. Use a valid reply to address. Subscribers replying to your email campaigns is seen as a good signal and helps improve your reputation with Internet Service Providers (ISPs). Your email content is vital to your success by providing valuable content to encourage users to click through. 8. Make sure your emails are mobile-friendly. Mobile email opens have grown by 180% in the last three years. 9. Boost click-through rates by 200-300% by adding a video. 10. Use social media icons. Emails with social sharing buttons got 158% more clicks than emails without the sharing buttons. 11. 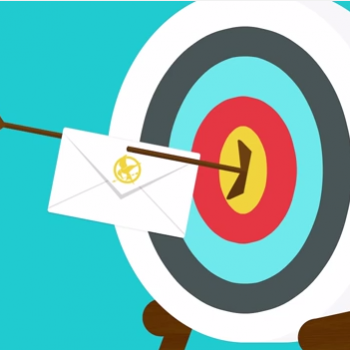 Gain a competitive advantage in your market by utilizing triggered emails. Only 18% of surveyed marketers are using triggered emails. 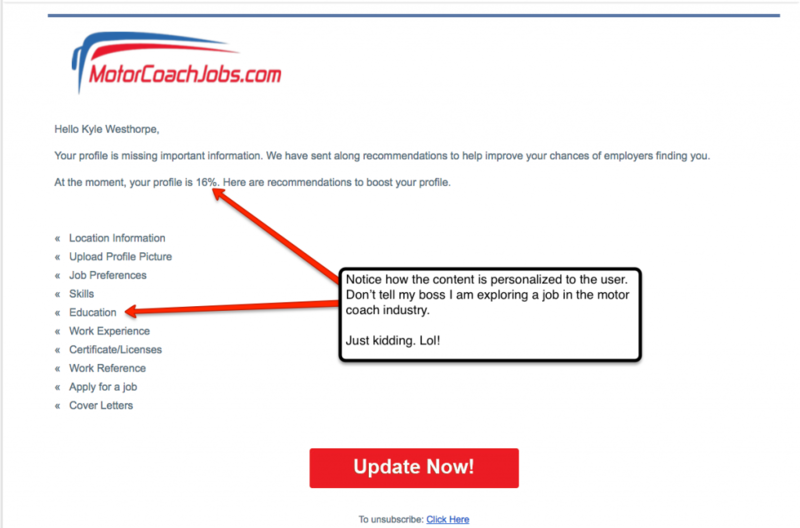 For a job board, a triggered email to jobseekers upon their registration with recommendations on completing their profile. 12. For your job alerts provide more information about the opening. Examples include; short description, location, salary range, benefits, etc. 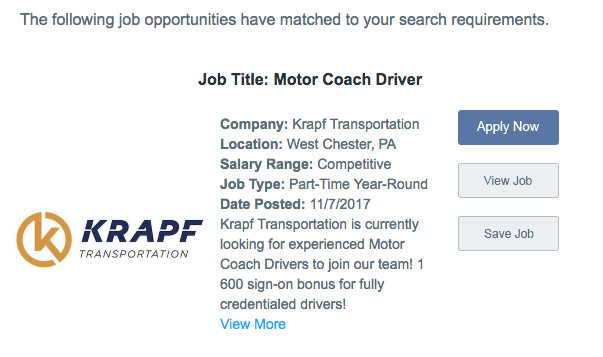 Driving more organic traffic to your job board is tough. But it doesn’t mean it’s impossible. Sometimes you need a little help to increase open and click-through rates and deliver qualified users back to your job board. These 15 tips are ideal for job board websites. You can use them whether you are attempting to drive jobseekers back to your job board to apply to jobs or employers to purchase services on your site. Remember that you have endless options to test and find the best approach that works for your audience. Follow the 15 tips in this post to increase your job board traffic through email marketing. 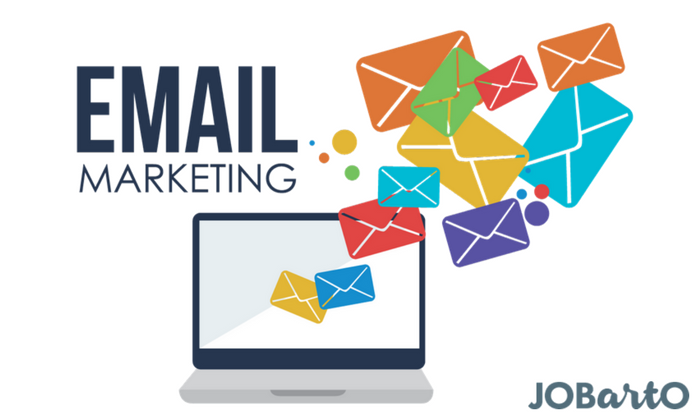 What tips do you use for email marketing to increase your traffic? Ah! Now that is interesting. I am sure many of the facts you have stated in this mail may not be known to many. These tips are sure to help recruiters understand job boards better. I hope people come up with more such informative posts. Thanks for the share.